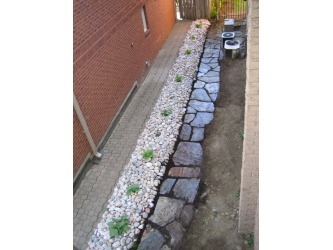 These are some pictures of one of my first projects here in Canada. 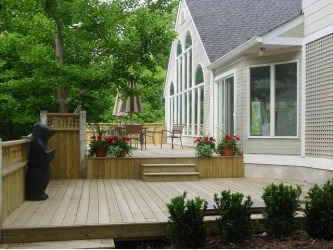 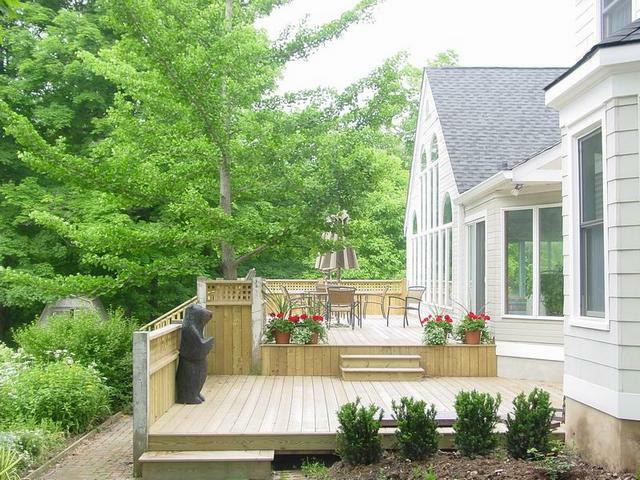 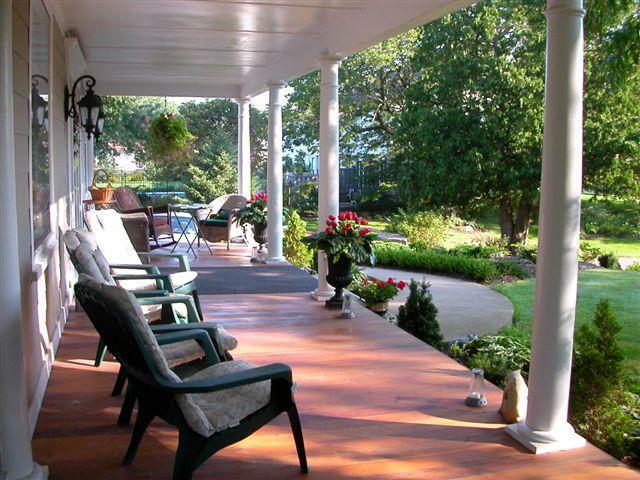 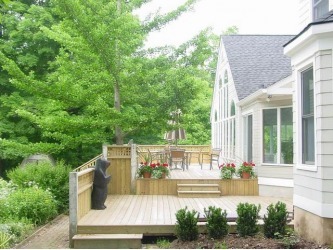 I was asked to build two patios and decks. 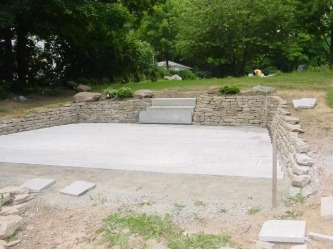 The limestone was salvaged from the bank that stood where Air Canada Centre was built. 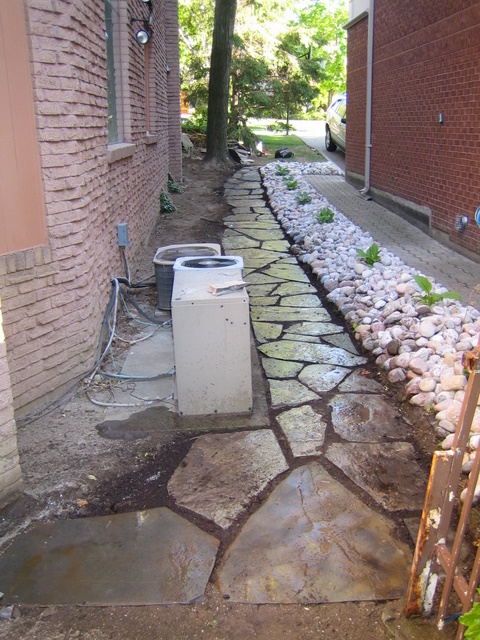 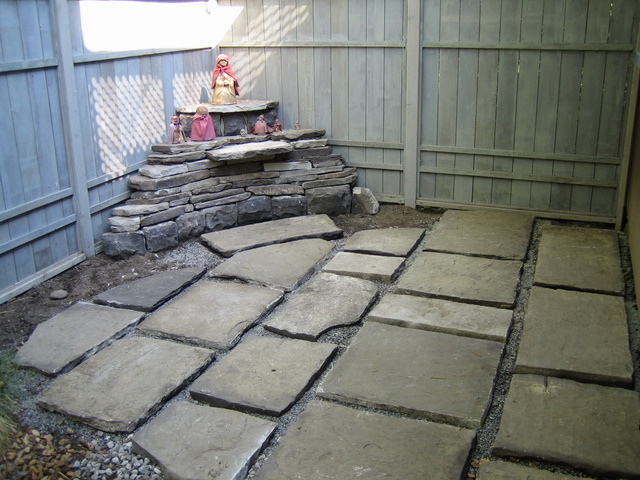 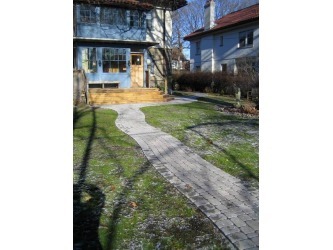 The stone blocks were cut down to slabs of 1.5" thickness. 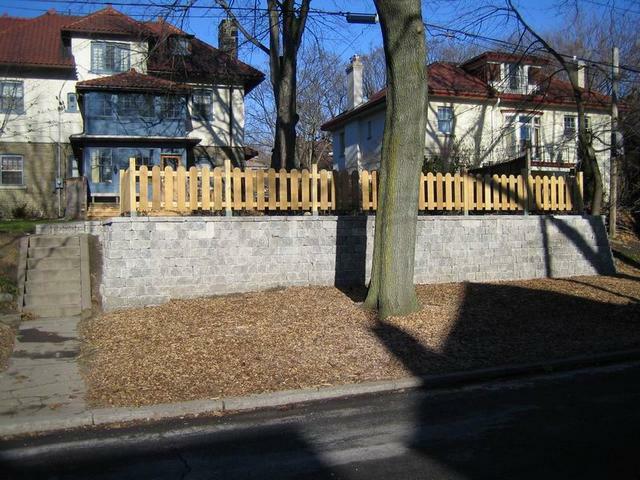 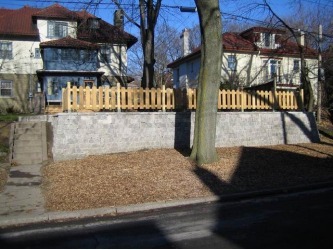 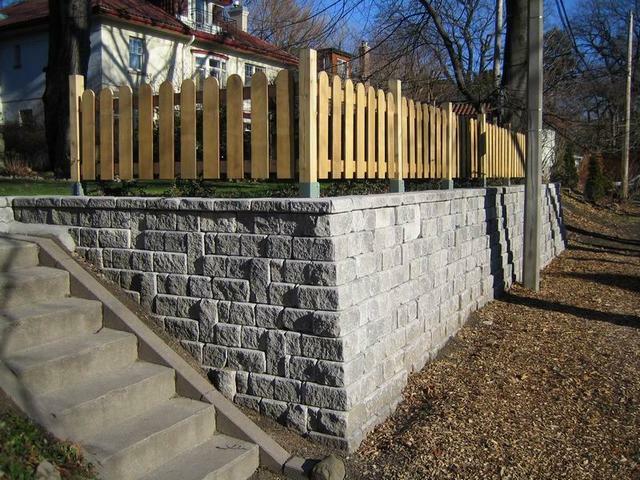 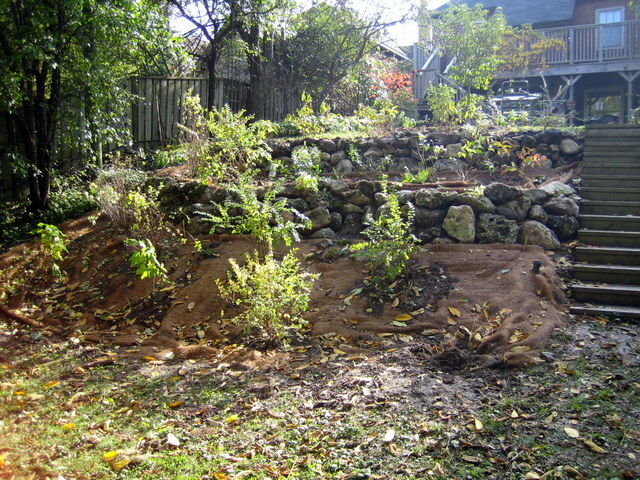 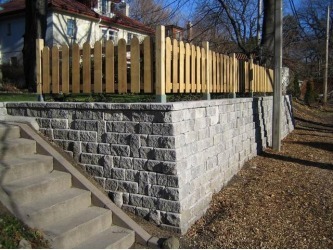 The material for the retaining walls was also acquired locally from another construction site where they had to blast the rock out of the ground in order to build foundation. 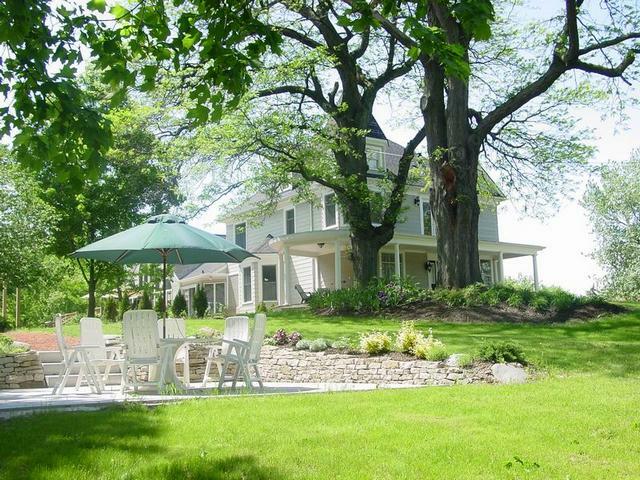 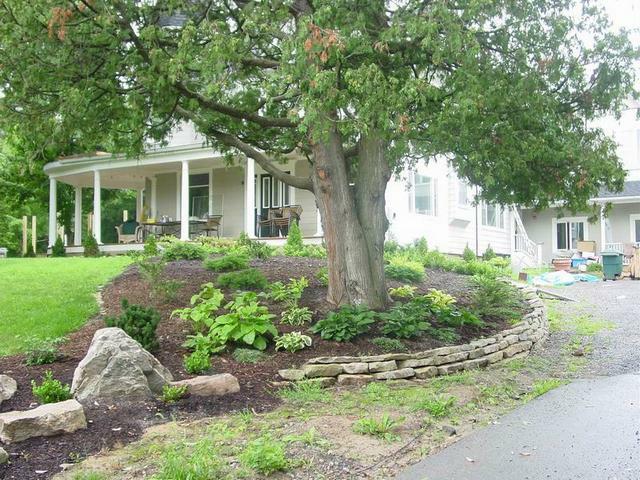 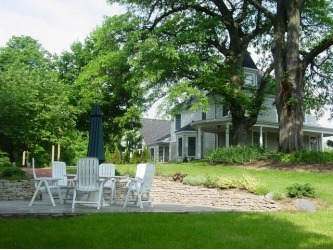 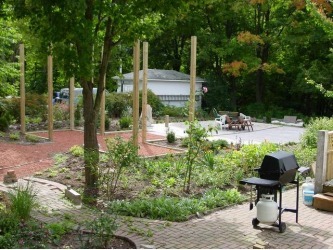 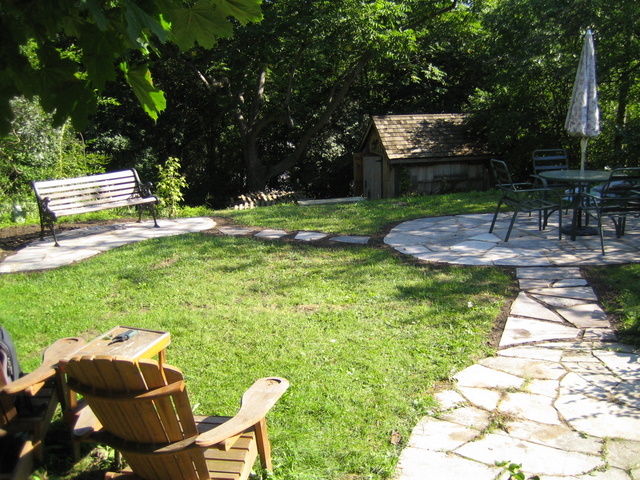 In 2004 TZC was about to redesign their whole gardens. 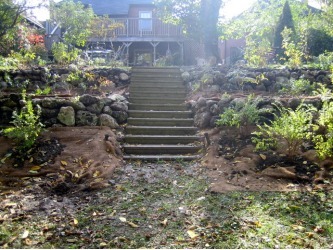 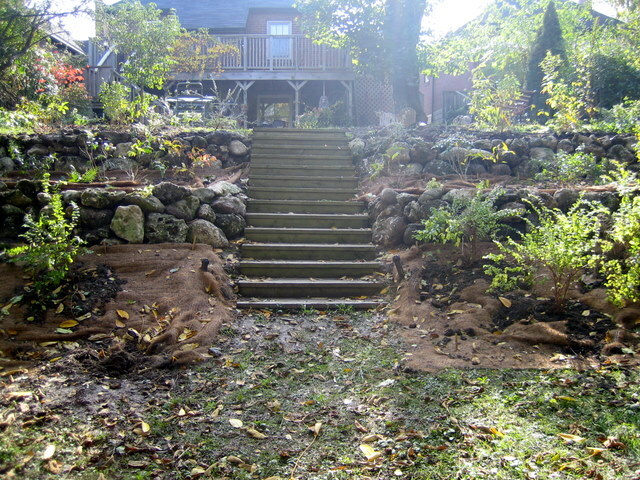 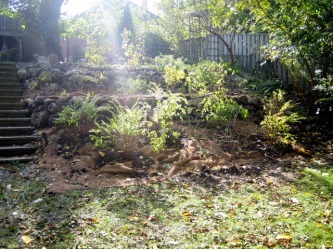 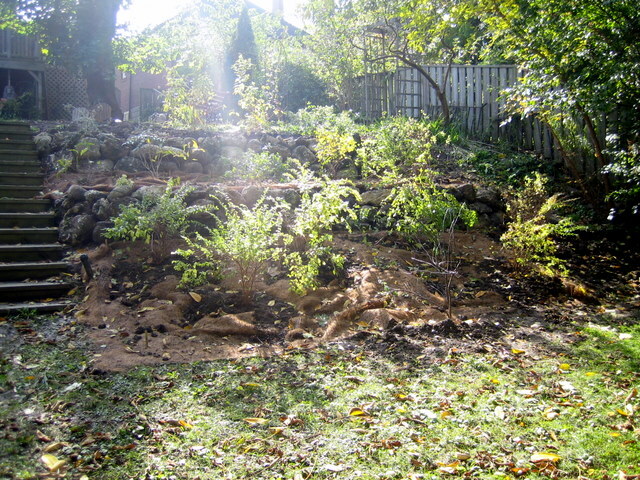 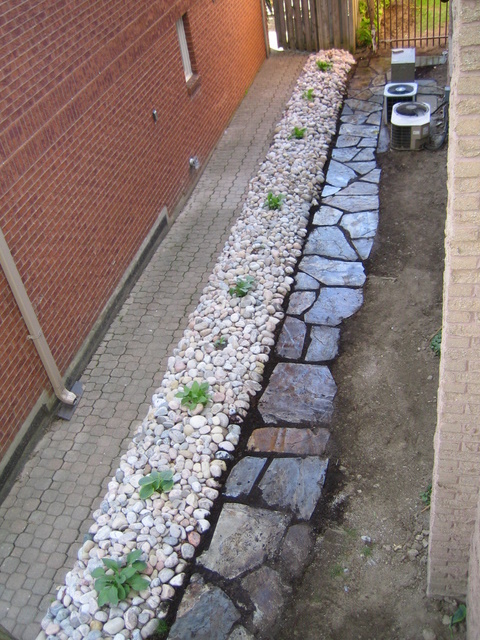 I was asked to design and build the paths and the retaining walls at the back of the property. 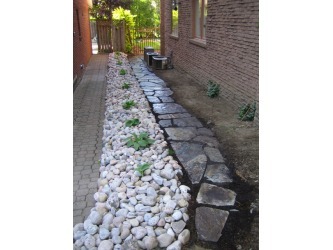 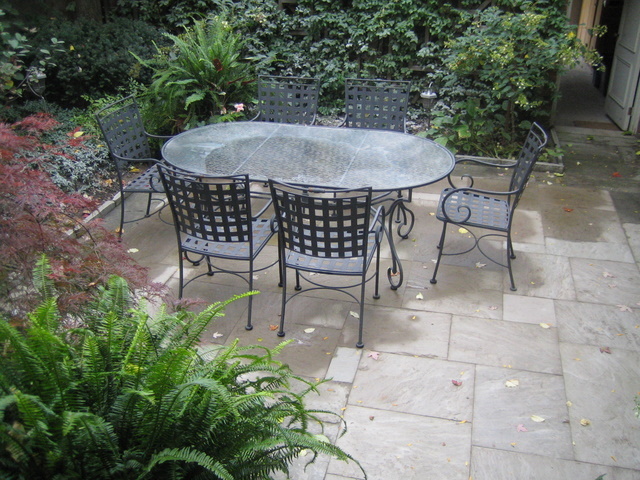 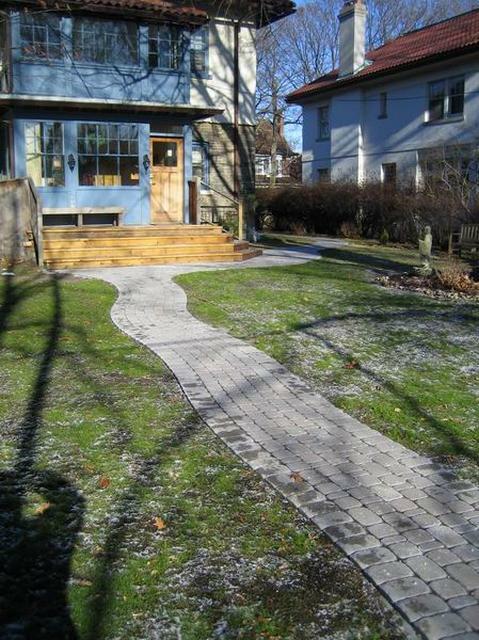 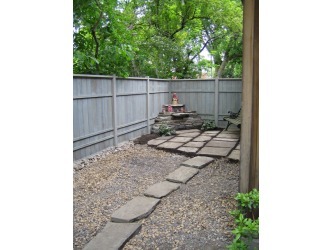 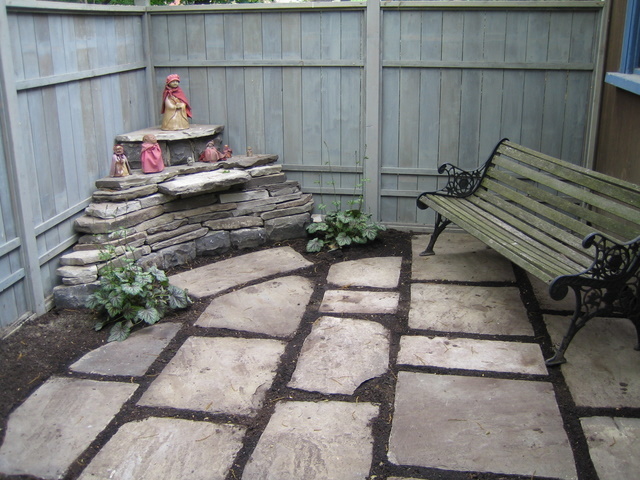 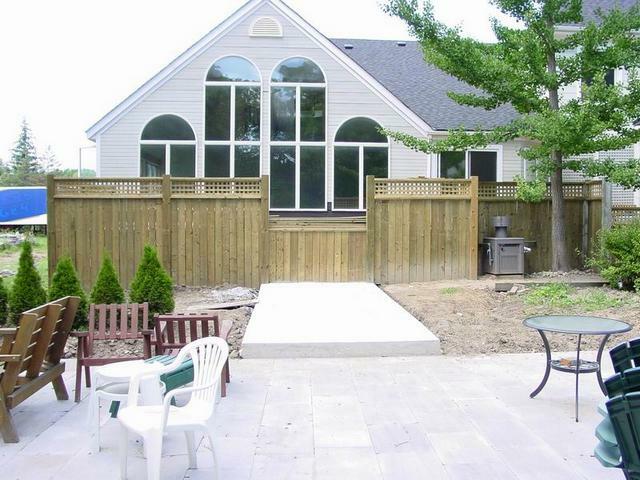 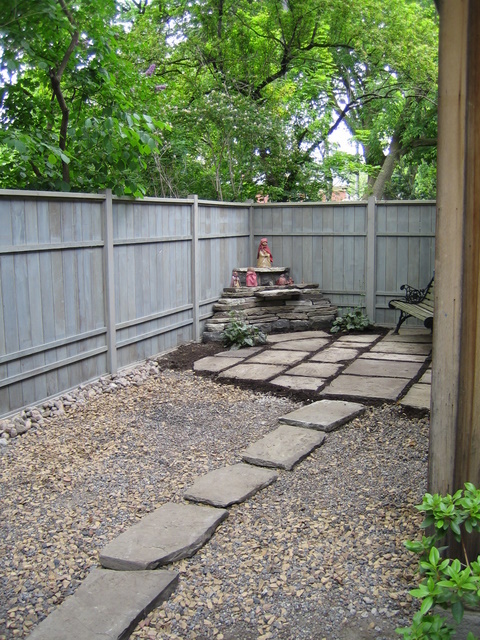 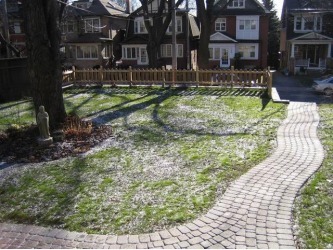 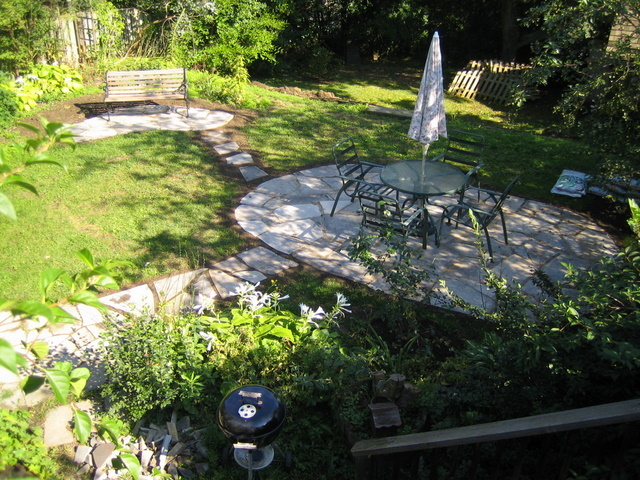 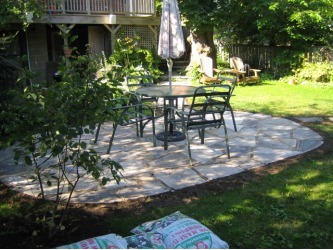 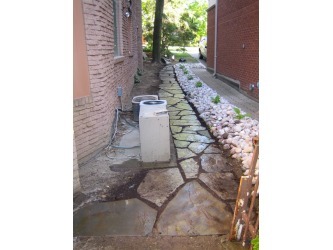 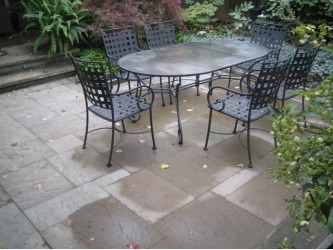 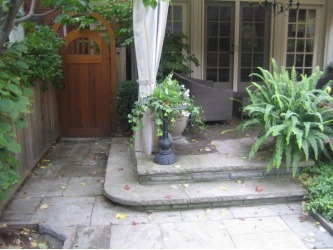 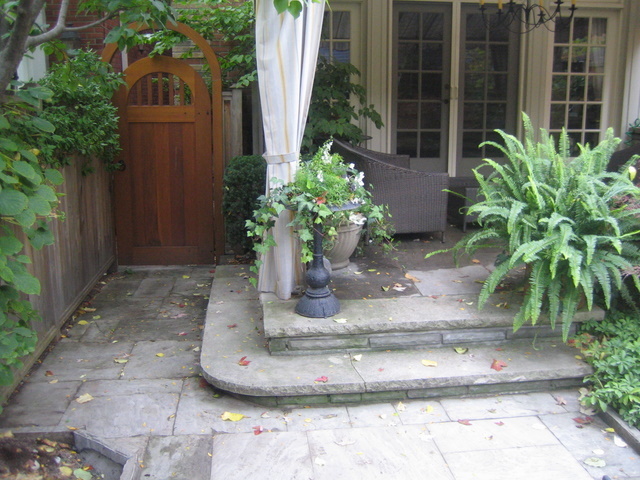 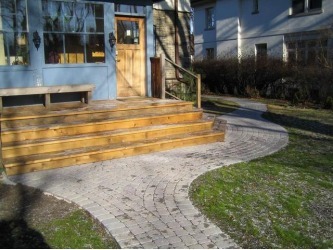 Small patio in the back yard located in downtown Toronto. 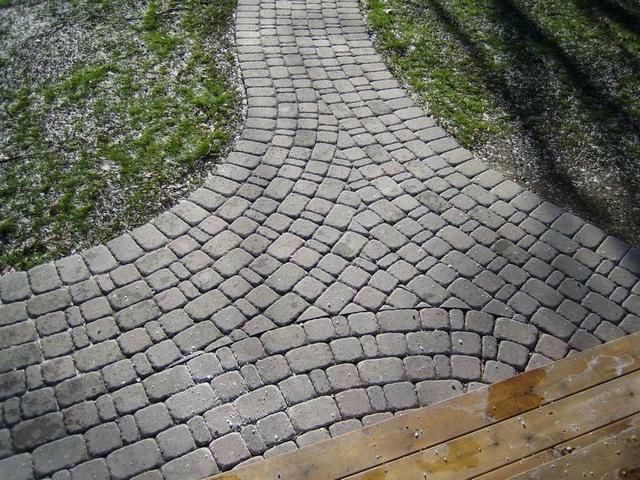 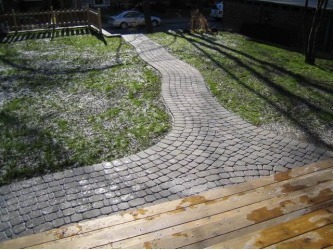 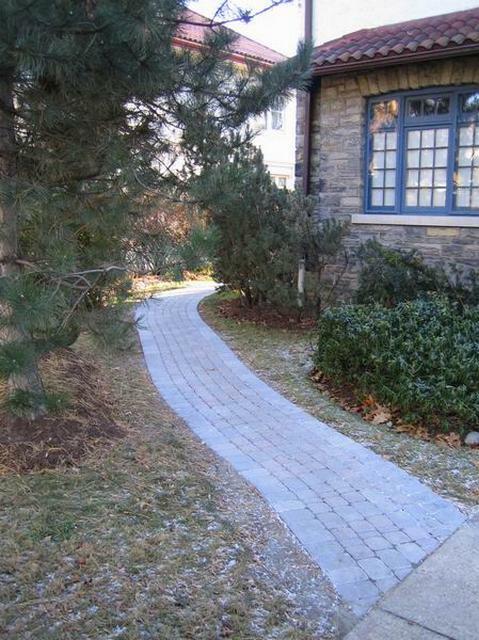 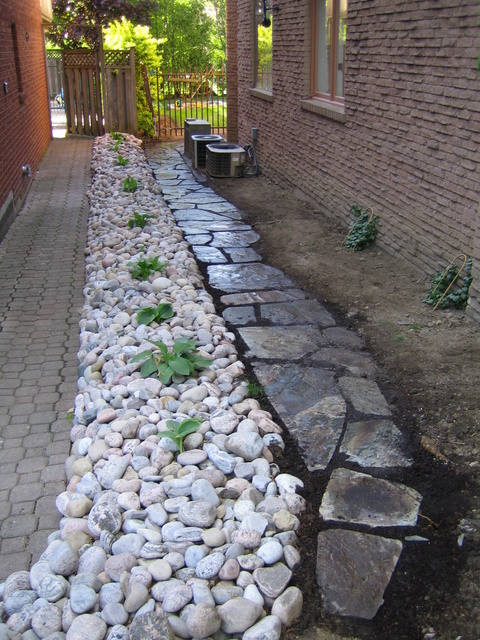 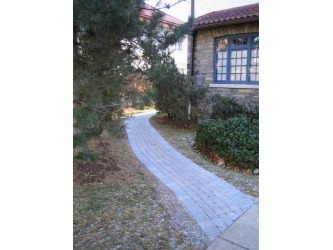 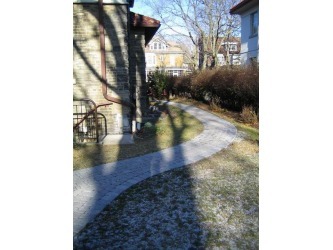 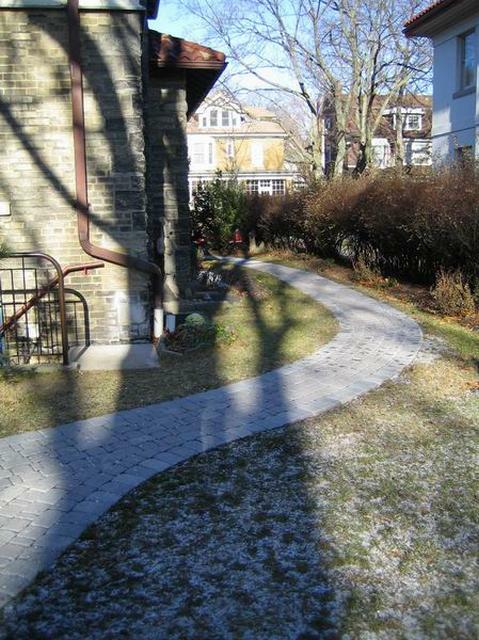 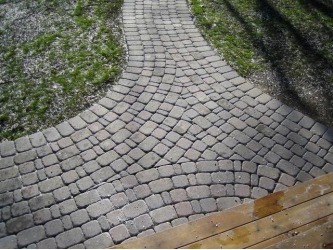 Path made of random Nova Scotia slate.